The film Fantastic Beasts and Where To Find Them is out on DVD today, but did you know about these seven real life fantastic beasts? Fantastic beast because: Axolotls are a type of salamander that never leave their larval stage. Most amphibians would start out in water and then undergo metamorphosis to adapt to land. Not the axolotl! It can grow to adulthood without leaving the larval stage. 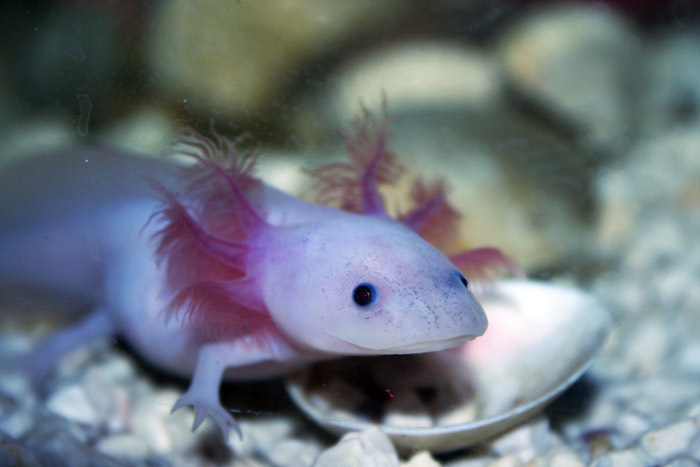 Axolotls can regrow lost limbs, and this super power has made them an interesting subject for scientists to study. Where to find them: Outside of labs and home aquariums, the axolotl is endangered in the wild, but they come originally from Mexico, and there are still a few living in lakes there. 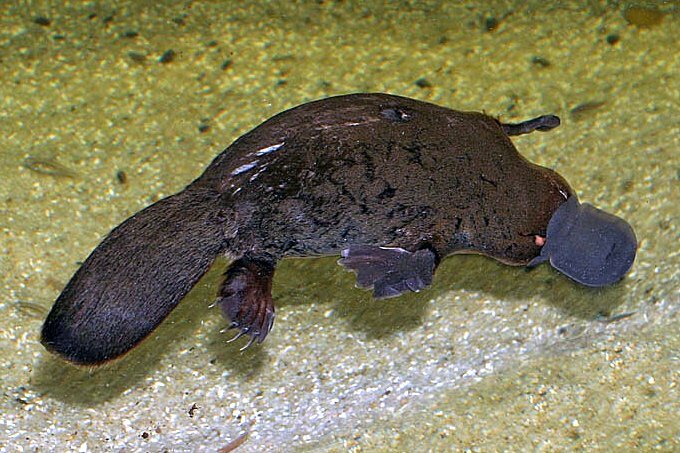 Fantastic beast because: The Platypus is one of only five egg-laying mammals in the world. (The other four are all echidnas.) When explorers first brought back dead platypuses from Australia to Europe, people thought they were fake. They look like small beavers with a duck bill! But no, they’re real, and they’re fantastic. Where to find them: Swimming in ponds and streams in Eastern Australia. Fantastic beast because: What if an animal you know only from ancient fossils were still alive today? Seems impossible, but this is exactly what happened to the coelacanth. When the first living coelacanth was caught in South Africa in 1938, museum worker Marjorie Courtenay Latimer recognized it from fossils from the Cretaceous period. The coelacanth has been called a “fossil fish”, but when researchers looked at the coelacanths entire genome, they learned that it hasn’t stayed the same over all those years, but is still evolving – just very slowly! 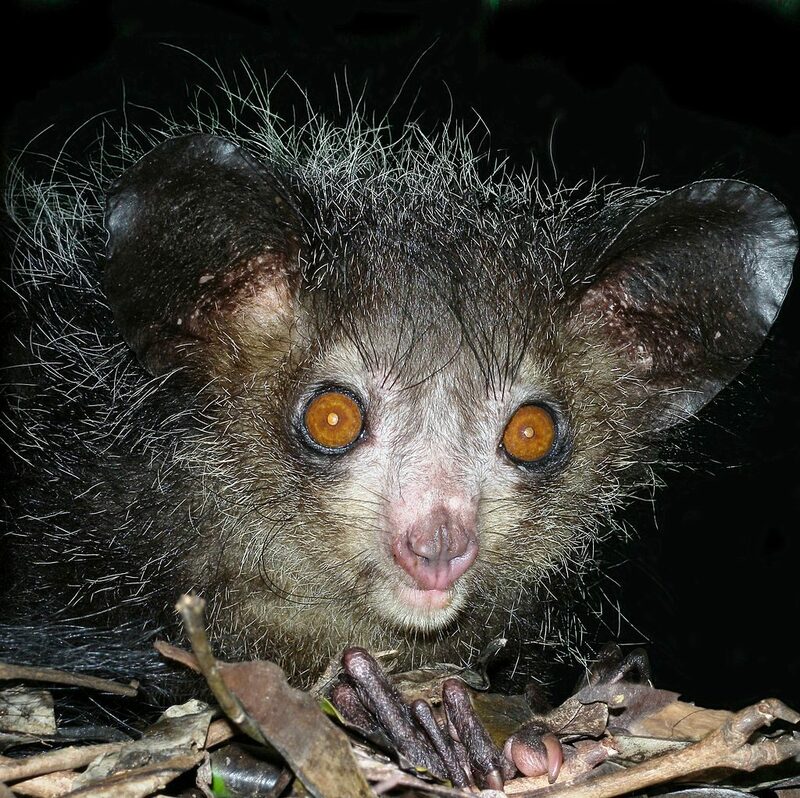 Fantastic beast because: The aye-aye might be the strangest primate. It’s nocturnal, with huge eyes, and their mouths look a bit like that of a rabbit, with continuously growing front teeth. They have one creepy-looking long middle finger, which they use to pull grubs out of trees, after luring them by tapping on the tree, much like a woodpecker would do (but with a finger). Where to find them: The aye-aye is from Madagascar, where lots of unique primates live. You can also learn a lot about them at the amazing Duke Lemur Center in North Carolina. Fantastic beast because: This tiny creature has eight legs, looks like a microscopic teddy bear, and can survive the most extreme conditions. Freezing cold, burning heat, starvation, radiation? Tardigrade don’t care. 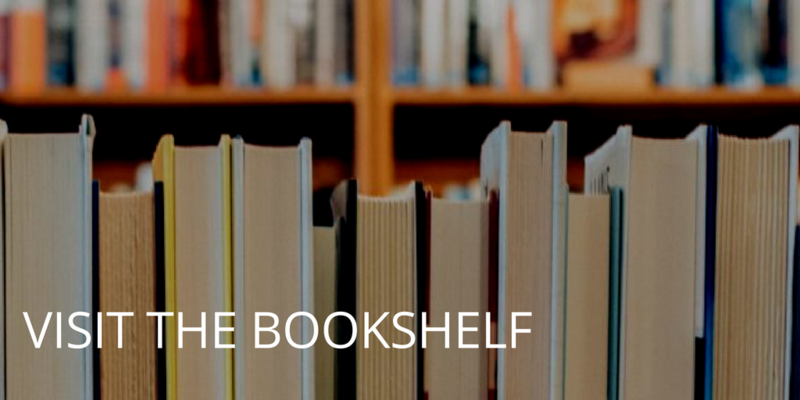 Where to find them: Like the axolotl, the tardigrades fantastic properties have made it an interesting research subject for scientists, so the most likely place to actually see one is under a lab microscope, or at Micropia in Amsterdam. But in the wild, they’re EVERYWHERE. 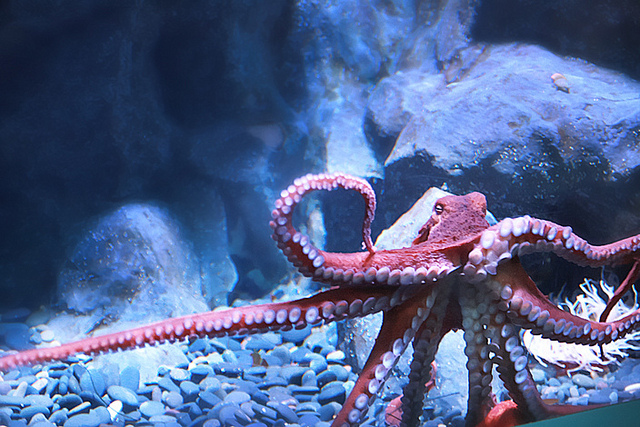 Fantastic beast because: It’s huge and pink and looks like something straight out of someone’s imagination, but the giant Pacific octopus is real – and really awesome. It can squeeze its body through tiny openings and is genius at figuring out puzzles. It can change the colour of its skin, and it has not one but three hearts. Where to find them: The Pacific ocean, obviously. For easier viewing, they are kept at some aquariums, including the Monterey Bay Aquarium. 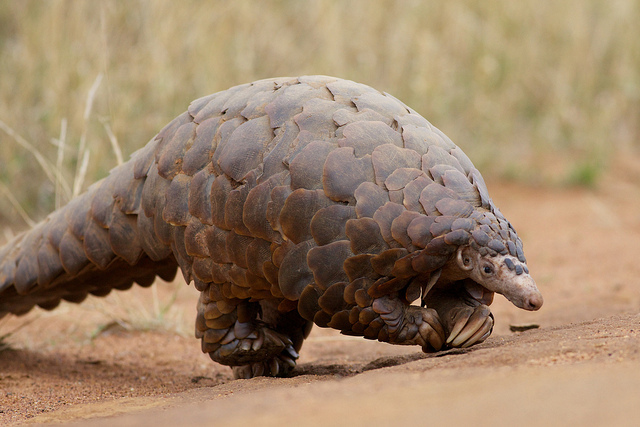 Fantastic beast because: Pangolins are the only known mammals with scales. They’re covered head to toe in their own body armour, made of keratin (just like hair and nails). Despite this heavy protective layer, they’re endangered. Their biggest threat is humans, who hunt them for their flesh and scales. But the scales look best on a living pangolin! Very creative post, didn’t know about half of these beast ? Wow, scary and cool all at the same time! Octopi are so interesting to me. It’s incredible how they can escape out the tiniest hole and they can blend into their surroundings. They’re incredibly smart too! ahah nice post! These animals don’t even seem real!! This post is so cool. It taps into Harry Potter and my daughter would be so excited to see a list like this. I will have to show this to her. Great pictures as well. Love this post! I’ve always thought axolotls were super fantastic and have always wanted one. 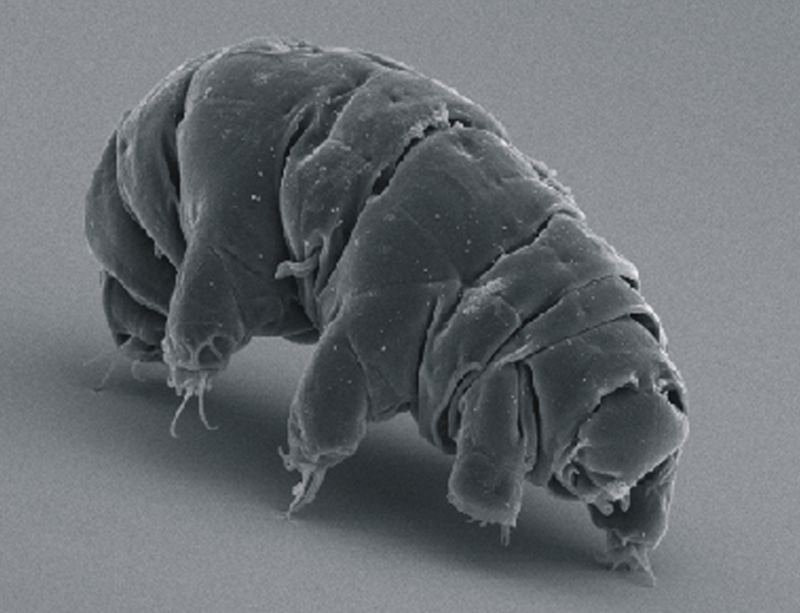 That tardigrade though, is new to me and awfully interesting. I’m going to have to look into reading more about him! Thanks for this great post! What a fun list! I showed this to my kids and they were loving it! I’ve pinned this post to show to my daughter tomorrow. She is fascinated by unusual creatures! Love this post! It’s incredible how they can escape out the tiniest hole and they can blend into their surroundings.She is fascinated by unusual creatures!